I’m used to having to explain my job title to people. In my previous life in book publishing I was a ‘Producer’; which as a result of its associations with film, music and theatre probably sounded a bit more glamorous than it actually was. It was a specialist role that required a blend of creativity, knowledge and realism about what we could achieve in the timeframe. Building capability: We should be identifying skills gaps and how to fill these; by recruiting extra resource and/or developing capability in house. Also, knowing how roles are graded and the various progression routes is essential for career development. Have you ever had to procure digital services (either externally or internally) and not known what sorts of people you need for your project? Have you ever been told you’re fulfilling one role, but felt your responsibilities might be more representative of another? Digital teams are relatively new to many Departments, and often don’t have a huge amount of resource. Out of necessity, it’s common to find that roles are more fluid in smaller teams, and the distinction between these roles can get blurred as one person assumes the responsibilities of several. What follows is a blend of GDS role descriptions, the contents of a book on Agile Product Management, and what I’ve learned from my own experience. The user’s champion. Identifies user groups, finds out what their needs are (often working with a User Researcher) and writes these down as user stories. Using keen judgement and experience of user behaviour across different platforms, translates the user stories into actual product functionality. A strong knowledge of the GDS Service Manual is essential. Defines the product vision. Creates effective and prioritised product delivery plans (working with the Delivery Manager) and gains the support of the users to achieve these. Communicates clearly and effectively with the rest of the Agile team, and with internal/external stakeholders. Techy enough to work well with developers and testers alike. A long term role that exists throughout the end-to-end product lifecycle. Analyses qualitative and quantitative performance data (working with the Service Manager), runs continual testing and iterations to ensure the product continues to satisfy user needs until it’s eventually retired. 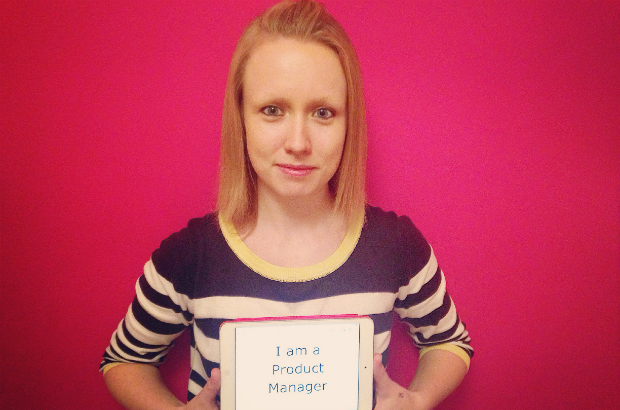 A people manager - they manage the product, not the people. Responsible for delivery and execution of a project - that’s a Project Manager or a Delivery Manager. Product Managers often go on to become Service Managers, or Delivery Managers. The change agent. Given a high-level strategic objective, breaks this down into specific tasks and deliverables. Using their excellent organisational and interpersonal skills, works with the sponsors (usually senior people) to turn a great idea into a clearly defined project with a realistic scope and timeframe. A tactical and time limited role focused on delivering a unique product, service or result. Figures out what resource (time, money and staff) is required to get everything done, and makes sure this is available. Requires strong leadership to make sure each member of the team understands their responsibilities, and meets their deadlines. Project Managers use a wealth of tools and techniques to organise and prioritise the tasks that need to be completed. Responsibilities include risk and issue management, progress reporting, and most importantly keeping a keen eye on the scope. For digital projects, using an Agile style of project management (rather than a waterfall style) is best. Digital specialist role, but can be very helpful when running a project that involves lots of people who aren’t familiar with digital processes. Permanent role - it starts and finishes with the project. Project Managers often go on to become Programme Managers. The figurehead of a service. Best placed out in the wider world, working within the context of the services they manage, rather than in a digital team. Often sits with colleagues who aren’t in digital roles, and as such is responsible for embedding Agile working practices and Digital by Default standards into the team culture. Creates and communicates an authoritative vision for how their service will continue to meet the needs of it’s users. Holds themselves and their team to the highest standards of user experience that can stand up to commercial sector comparison. Has a strong knowledge of digital platforms and systems and is confident in running meetings with technical experts. A senior digital role that is accountable to Departmental Board-level officials and stakeholders. Ultimately held responsible for the consistent provision and quality of their services. Leads a high performing team, closely supported by the Product Manager, to operate an end-to-end transactional process. Confined to a single project or product. Purely digital - they manage offline services aswell. Service Managers often go on to senior strategic roles. The guardian of the team. Makes an informed judgement on the best route towards achieving objectives, and removes any obstacles before they start to slow people down. Focused on figuring out the most effective processes and putting them into practice; both in terms of deciding what projects to take on, and how to run those projects. Leads all kinds of Agile team meetings (daily stand-ups, sprint planning meetings, retrospectives etc) so they can track who’s working on what and understand how much time and effort each task requires. When the Product Manager defines a priority (based on user need), the Delivery Manager will allocate the team’s resources accordingly to focus on those features/functionality. A dynamic and flexible role that requires equal measures of time management, quality assurance, and forward thinking. The Delivery Manager lives and breathes Product Roadmaps, and knows their team better than anyone - not just in terms of capacity, but also their level of capability. Responsible for doing the actual work - team members own their respective disciplines. Like Service Managers, Delivery Managers often go on to senior strategic roles. A relatively new role that combines the authority and responsibility traditionally scattered across separate roles, including the customer or sponsor, the product manager, and the project manager. Its specific shape is context-specific - it depends on the nature of the project, among other factors. If you do one of these jobs I’d love to hear what you think - have I captured the essence of your role? Have you come across any common misunderstandings? It would be great to build up a network of Digital Product Managers, Service Managers, and Delivery Managers from different Departments to see how similar or different our work is, and share some of the challenges. You can read more about what the wider Department of Health digital team does on Stephen’s blog.